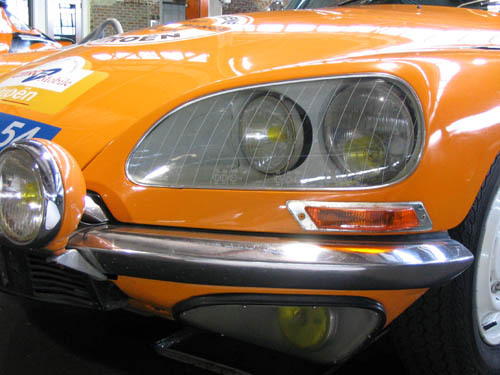 The Citroën D series was introduced at the 1955 Paris Auto Show. With its advanced hydropnuematic suspension and leading edge styling, the D series was an instant success. You can find an example of a stock sedan model in the French section of the exhibit floor. 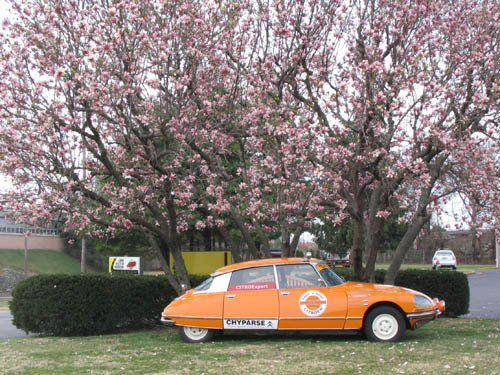 This car has been prepared for rallying. 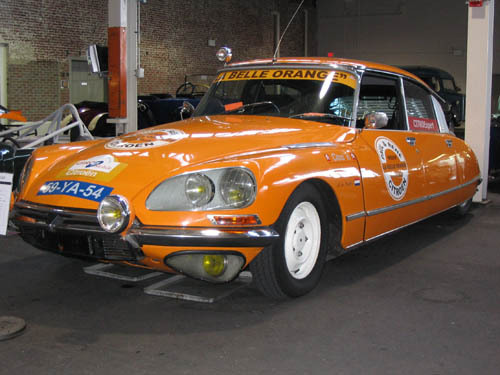 It is presented in the Dutch national racing color–bright orange.